For the past two years, Will and I have been riding the Mount Greylock Century but when fellow Newtown Lunartic, Gavin aka Gabby, suggested that we meet at his cabin in the Catskills how could anyone pass up that opportunity? Gavin picked out a 90 mile course that began at his cabin and took us initially by Bethel Woods, the modern day outdoor concert venue next to the historical Woodstock. 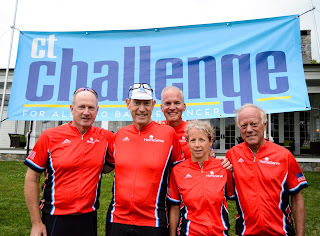 My company decided to participate in the CT Challenge this year and put a team together. 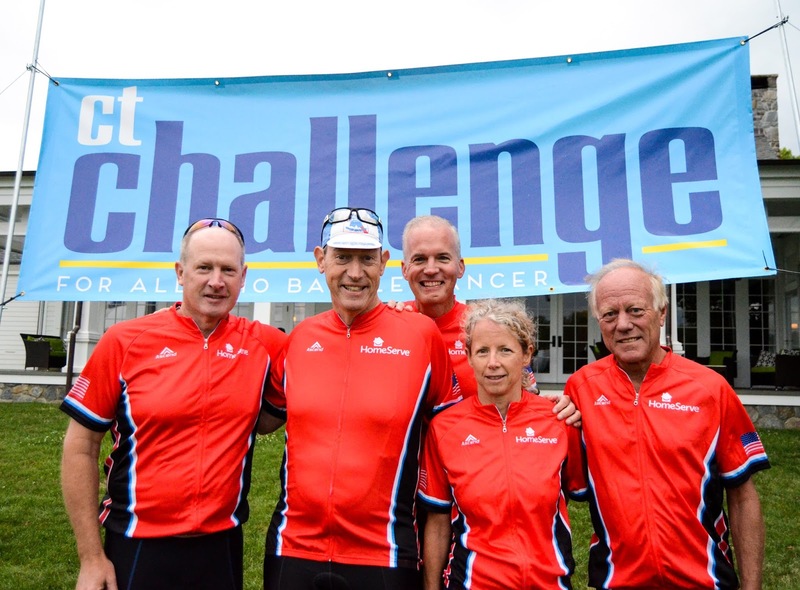 The CT Challenge is a local charity for people fighting cancer and those that have survived by offering wellness and nutrition programs, as well as opportunities for Cancer Survivors to go on trips to experience a variety of outdoor activities that they normally wouldn't have the opportunity to do so. Since I signed up for the Century ride I figured I might as well try the course out but decided to ride it in reverse for some gastronomic reasons. The first leg of the trip started out with almost everyone from the Newtown Lunartics Cycling Club and since we were riding to Lake Waramug via Woodbury we just had to stop at OOF (aka Ovens of France).